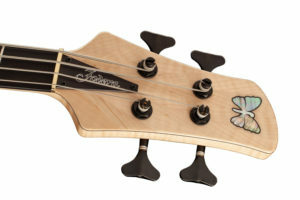 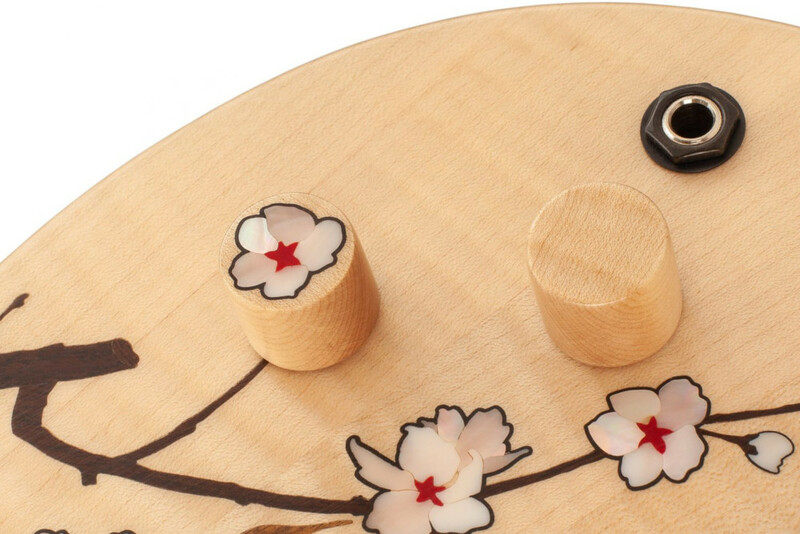 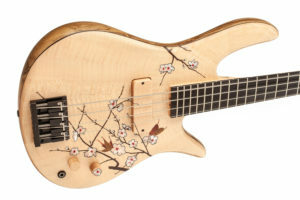 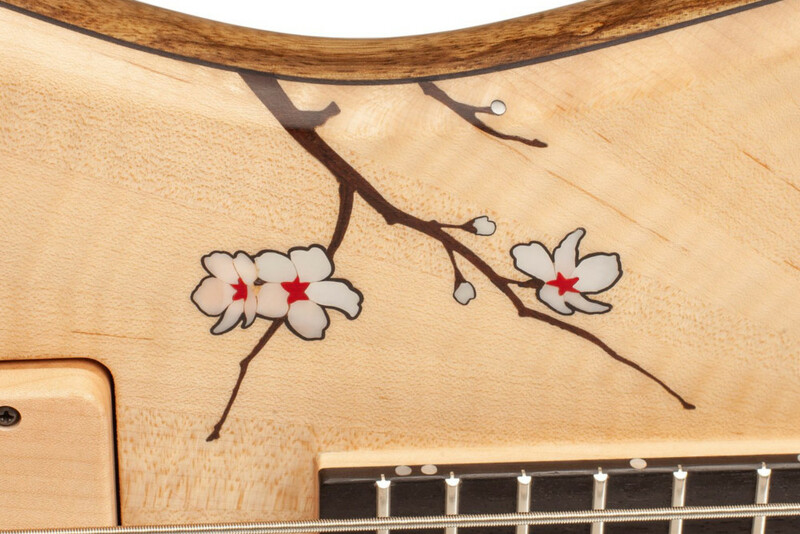 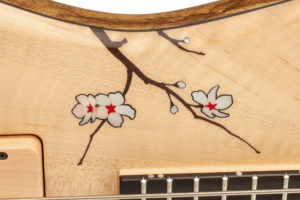 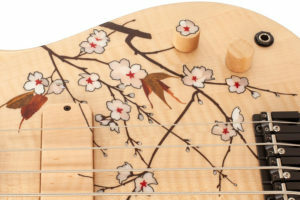 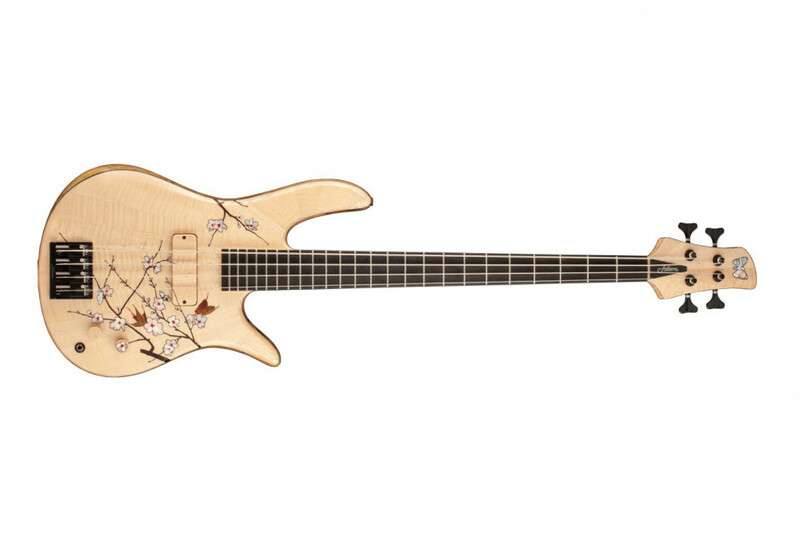 Just in time for the blooming trees, Fodera has revealed the latest in their Masterbuilt series with an instrument called the Cherry Blossom. 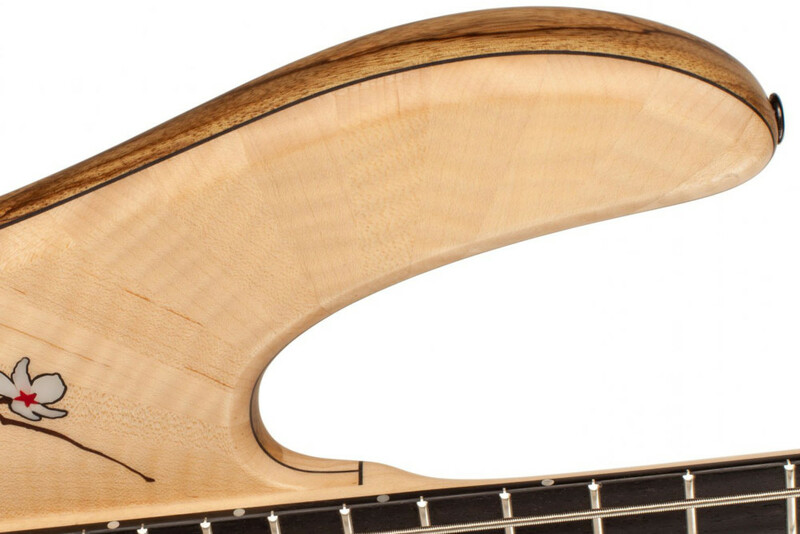 The one-of-a-kind bass is built using their Monarch design with a multi-piece fanned Flame Maple top with gorgeous inlay work. 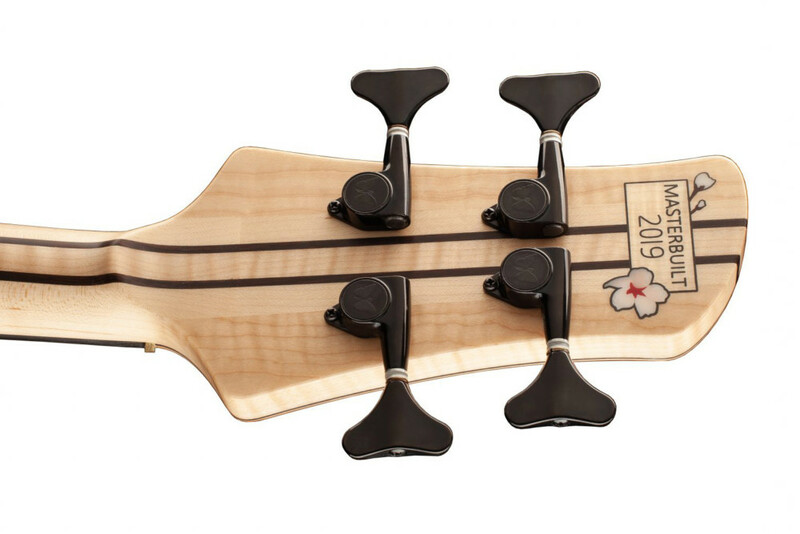 Fodera followed up on the minimalist theme by forgoing their standard preamp and utilizing passive electronics with matching wooden knobs. 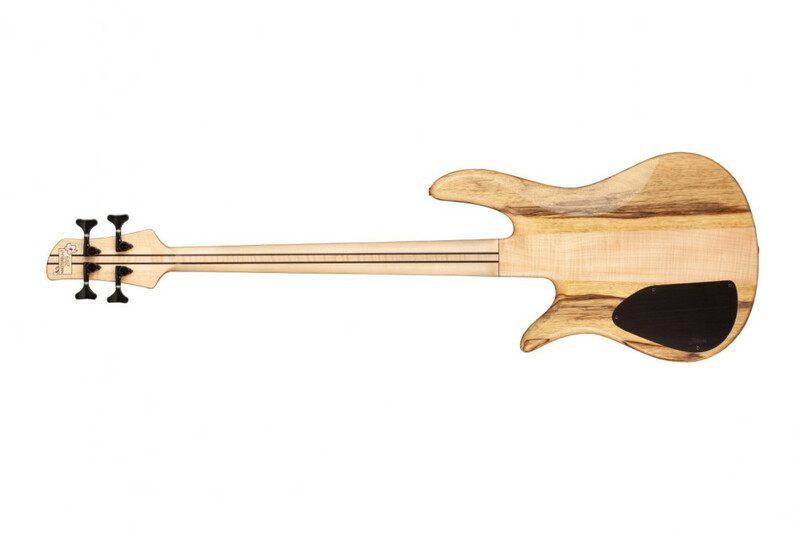 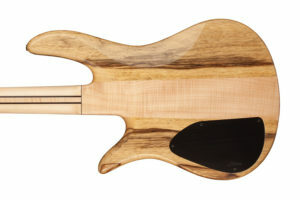 Other features include a Black Limba body, a flamed ebony fingerboard, and a flamed maple tone block matched with a five-piece maple and wenge neck.